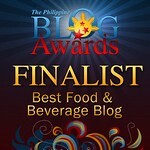 THE PICKIEST EATER IN THE WORLD: BURGER COMPANY'S ANNIVERSARY PROMO! 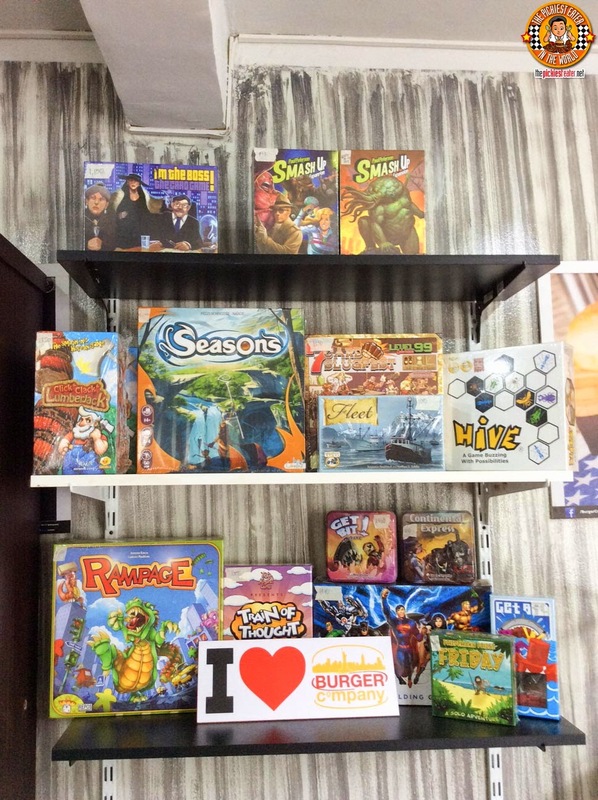 The three B's of Burger Company: Burgers (naturally), Bacon (Of course), and Board games! My brother is a board game aficionado, and would show meepisodes of Geek Icon Whil Wheaton's web show "Table Top", where he would feature the level that board games has attained. Gone are the days where you simple roll the dice and hope your pawn around the map before your opponent to get to the finish line! 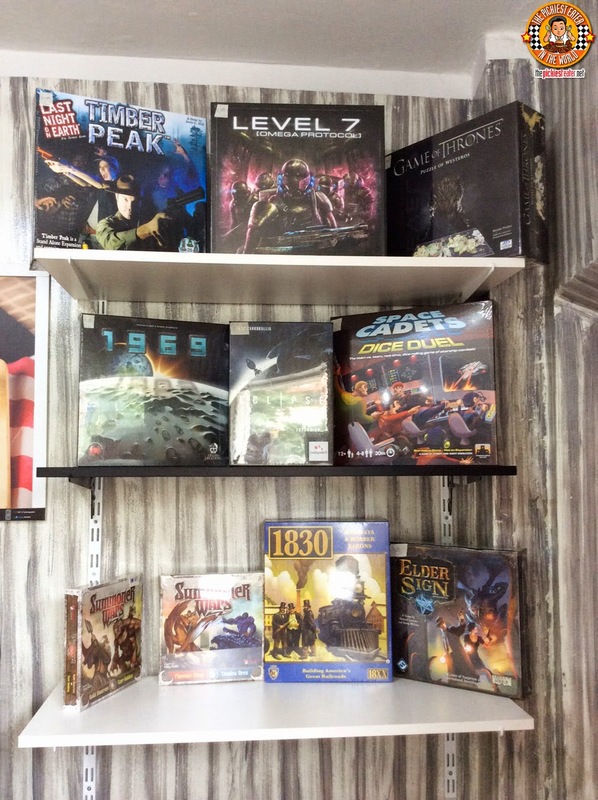 Burger Company's lineup of board games for sale and for use in the restaurant is very impressive! 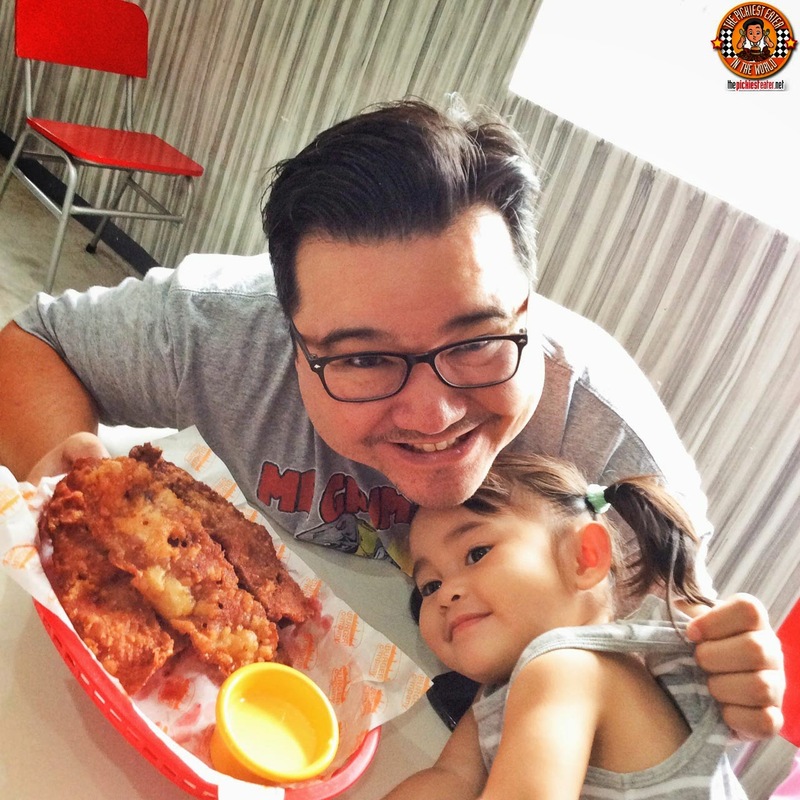 The fun atmosphere constantly going on is all part of what makes your Burger Company experience so memorable! 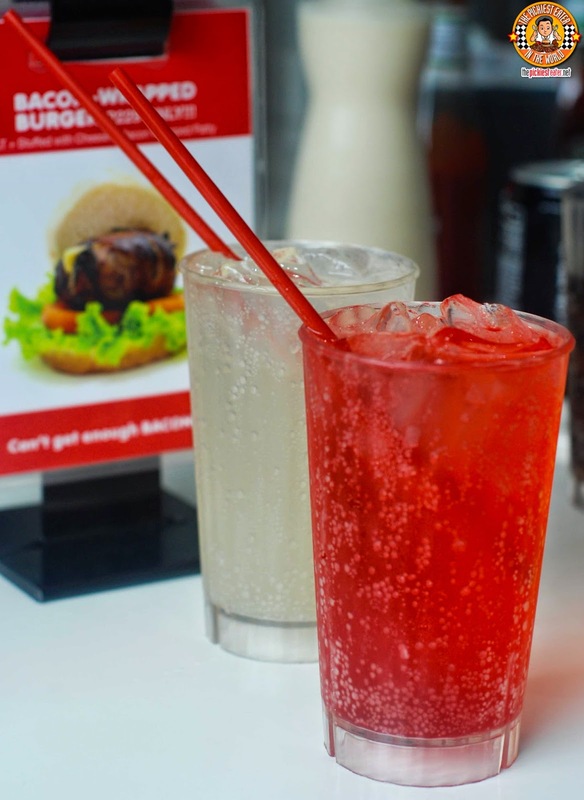 While we were waiting for our orders, we were served some of Burger Company's refreshing Flavored Sodas (P65). 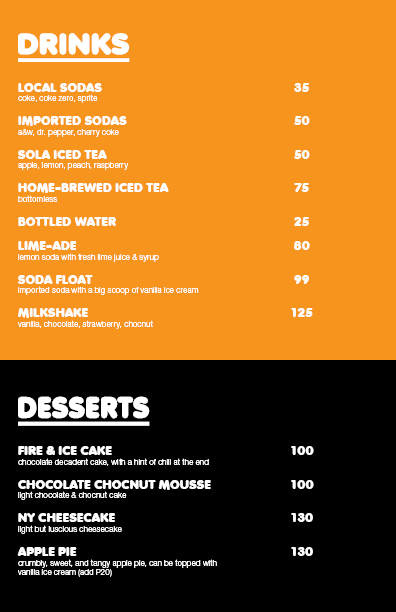 With a wide array of syrups to choose from, you may opt to mix and match flavors to fit to your liking, although I must admit, I was happy with the simple strawberry. 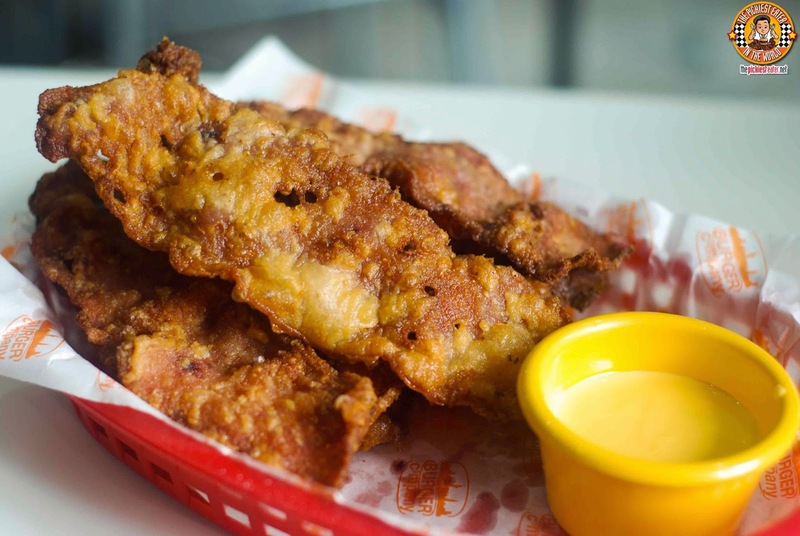 If the Homemade Bacon Dippers (P165/6 pcs., P250/9 pcs.) 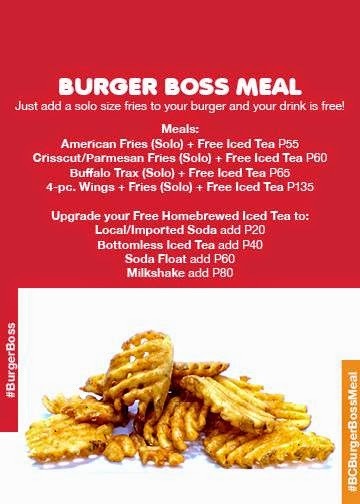 is not enough to get you to go to Burger Company, I'm not sure if we can be friends. This was whole strips of Bacon, covered in Burger Company's signature batter, and dropped into the deep fryer where it cooked to an even more glorious state. The Dippers are served with a creamy cheese sauce, but truth be told, I could eat these suckers plain, with a side of garlic fried rice, and I'd be good. 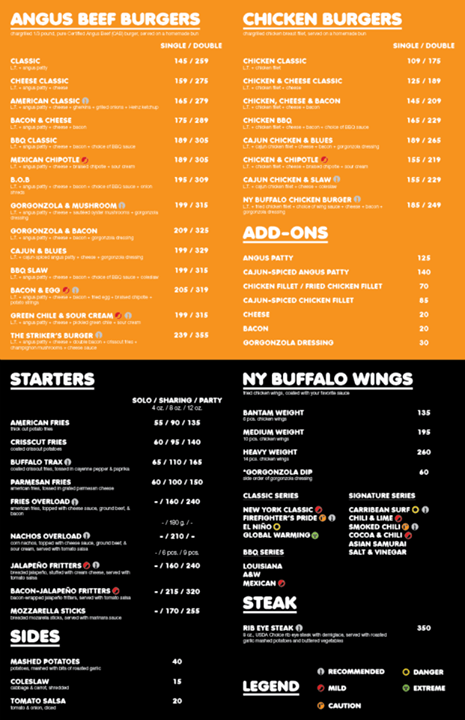 Burger Company also added another weapon to their Chicken Wing arsenal, by adding The Striker’s Wings (P135/6 pcs.). 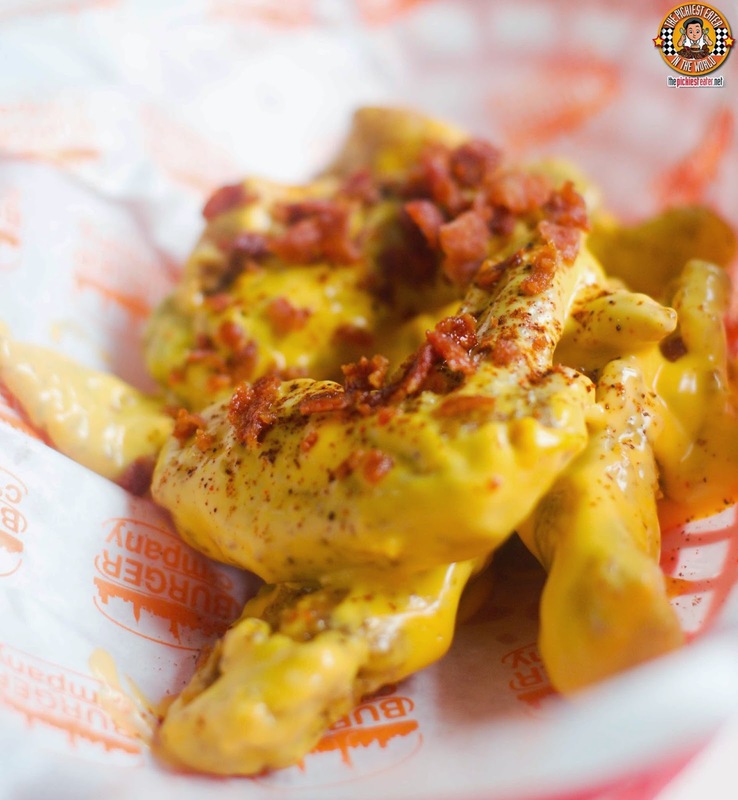 Deep Fried Chicken Wings are wrapped in a blanket of Cheese sauce, and sprinkled with crumbled bacon bits, that helps the cheese to not come off as too rich and cloying. 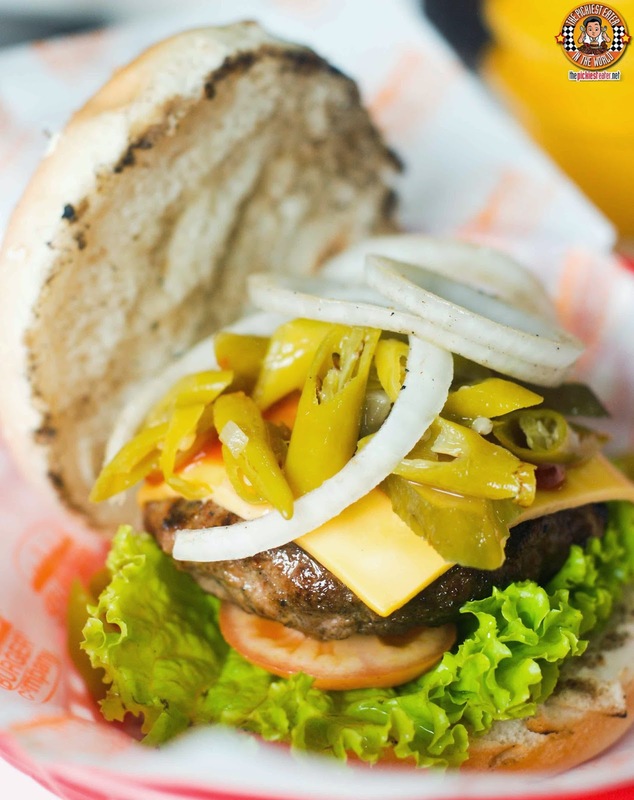 If you like your burger with a nice kick of heat to it, then you will be more than satisfied with Burger Company's Green Chile Burger (P190). Imagine a classic burger with all the fixins, topped off with a pile of scorching green chile. That's enough to get any spicy food lover excited! 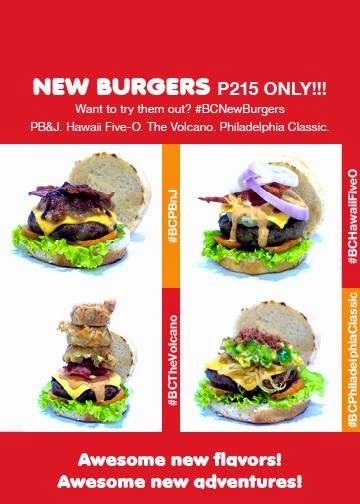 Me, I'm more of a sweet and savory guy, so I would be more inclined to choose the new Hawaii Five-O (P215) instead. If Anthony Bourdain was impressed with the Aloha Burger, I guarantee that he would have his mind blown away with this bad boy. The Strips of bacon are crisp, and not soggy.. 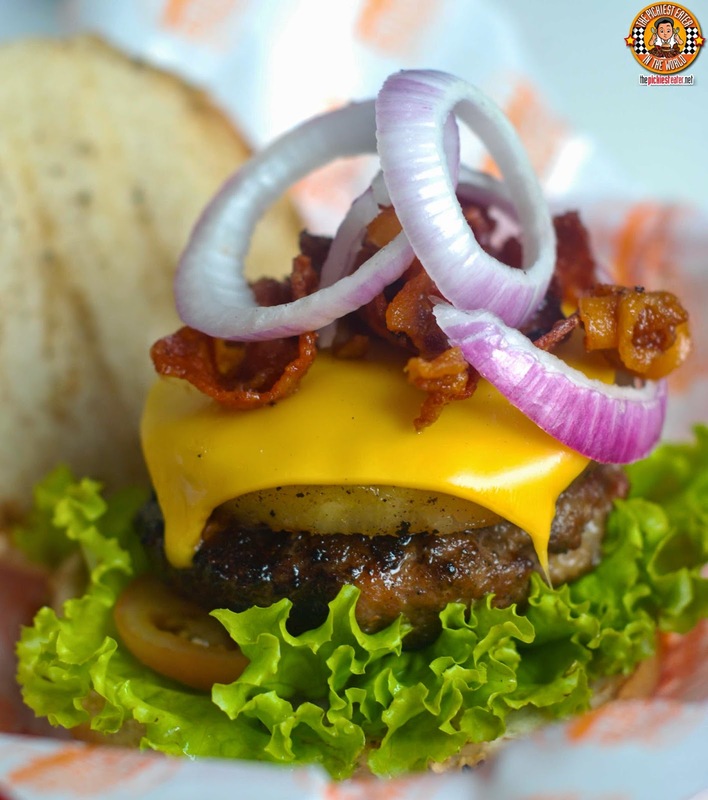 The pineapple slice is sweet and flavorful, while the beef party is thick and juicy. Need I say more? 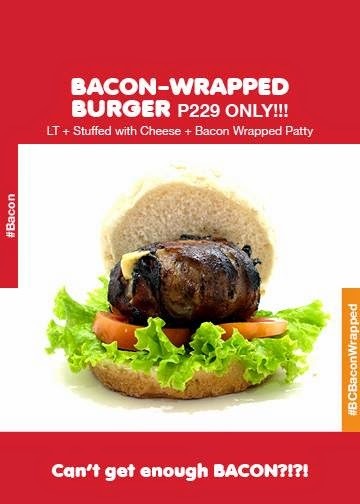 If a restaurant has a Bacon Wrapped Burger (P229) in its menu, in all likelihood, I will most probably order it. 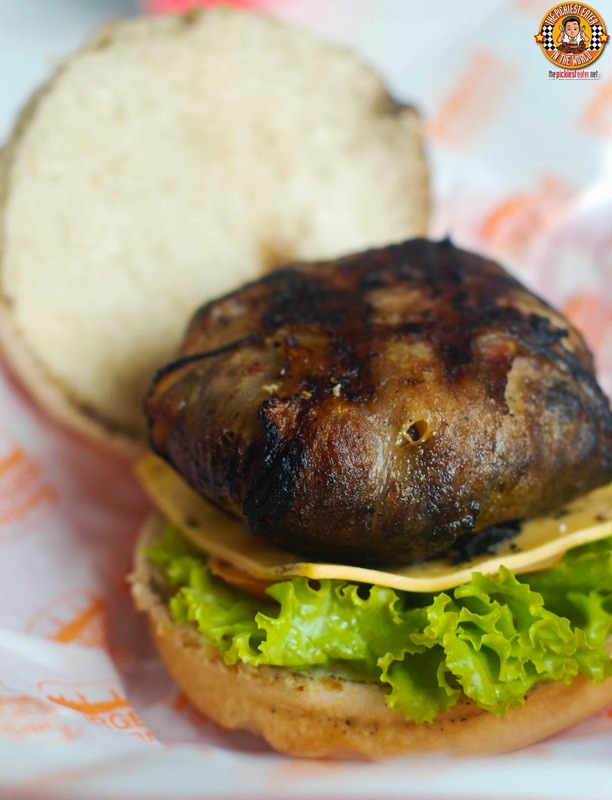 Even just saying it.. "Bacon Wrapped Burger", sounds totally amazing! Burger Company version did not disappoint. The meaty burger patty was enveloped in Bacon strips, and thrown into the grill, where it was charred to smokey goodness. One bite of of this will release a flood of cheese, which was stuffed into the patty! Yes, it is in fact, as awesome as it sounds. 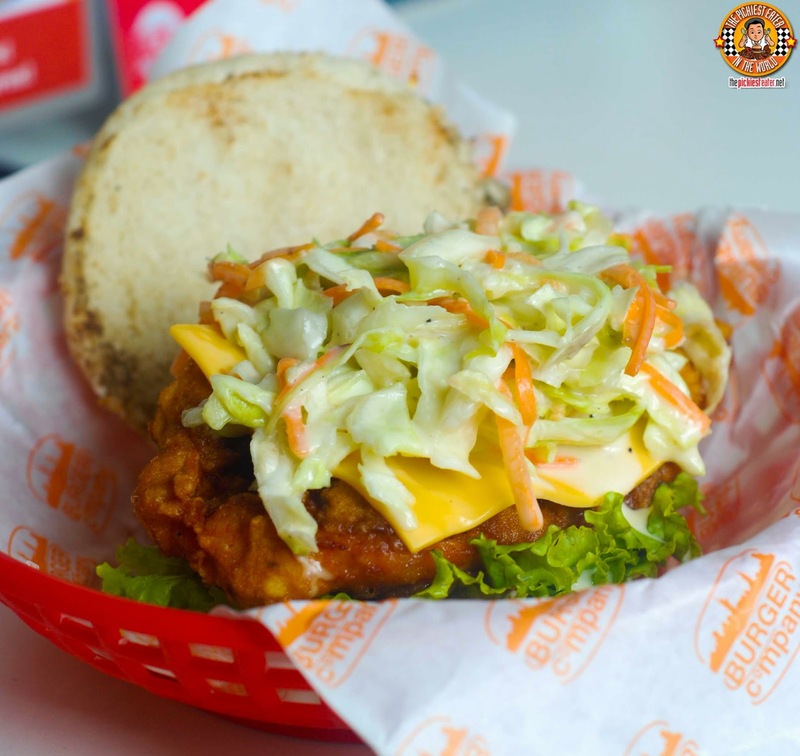 Though it's not exactly new to Burger Company's menu, The Cajun Chicken and Slaw (P155) has been modified for even bolder tangy flavors that is balanced beautifully by the creamy coleslaw. 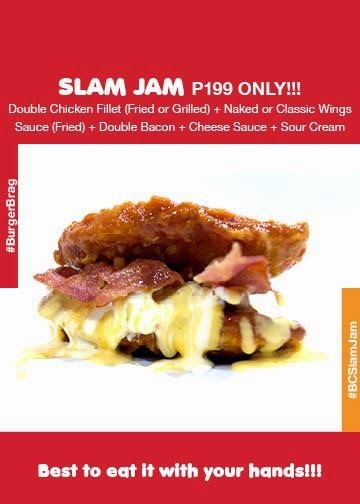 While others like to "Double Down", Burger Company believes it's best to "Double Up" with the Slam Jam (P199)! Two Chicken Fillets serving as "Buns" sandwiching two juicy bacon strips slathered in cheese sauce and sour cream. 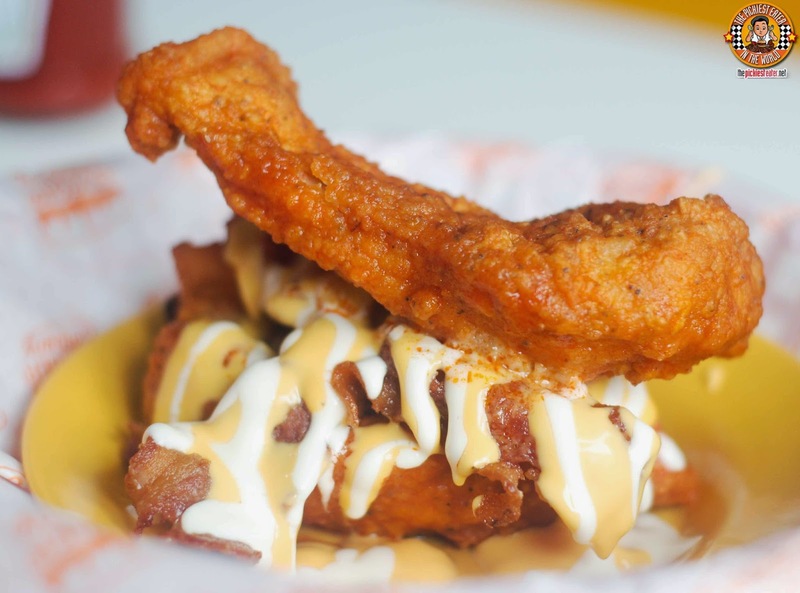 The chicken fillets may be grilled or fried, and bathed in the classic wing sauce or "Naked". If you like Bacon as much as me, you might be interested in asking Burger Company an item that can only be found in their "Secret Menu.. the "Striker's Chicken Burger". They take a chicken patty, and wrap it completely in three strips of bacon. They then place it on a bun, and place two more slices of crispy bacon on top. 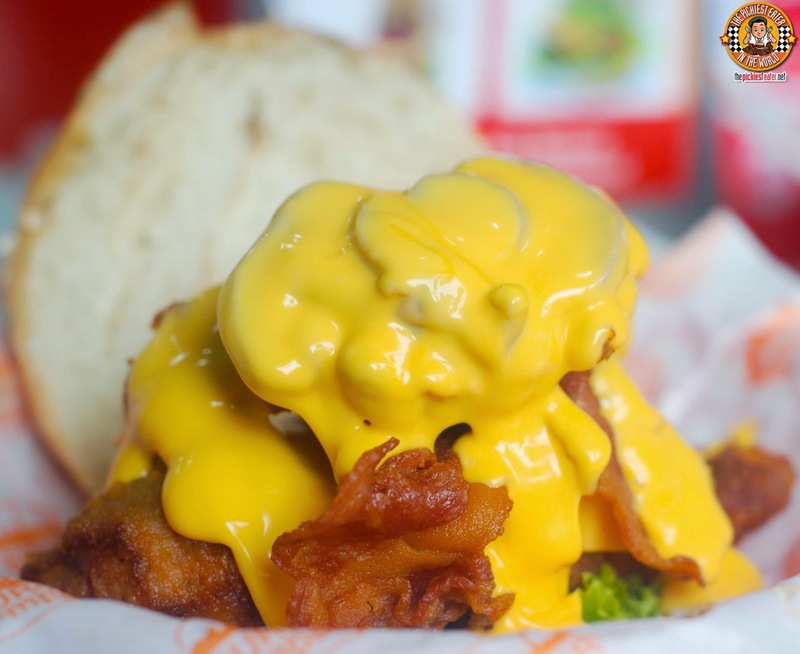 Afterwards, Burger Company's trademark gooey cheese sauce is poured on top, creating a stunning river of golden cheese flowing down stream, covering most of your burger. Condiments such as Mushrooms, tomatoes, and lettuce round out this decadent creation. 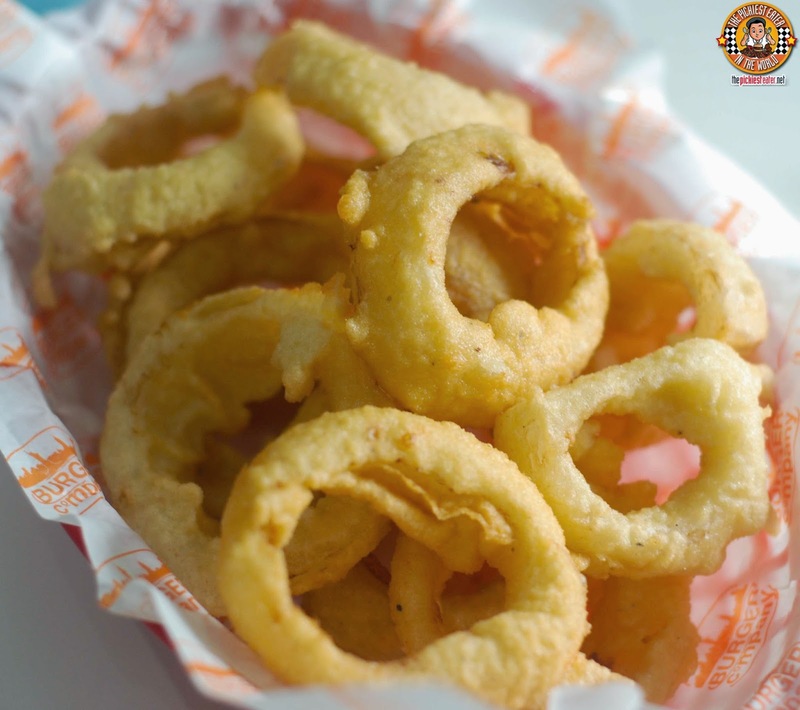 Burger Company's original menu was more than enough to get you speeding off to Quezon City, but now with their new items, the stakes have definitely be raised! And what a perfect time to visit them, than this August 8-10 and make use of their fun-filled First Anniversary Promo! See ya there, guys! slightly less fattening because it's grilled instead of fried! both are yummy though!